The impact of constant technological change upon our perception of the world is so pervasive as to have become a commonplace of modern society. But this was not always the case; as Wolfgang Schivelbusch points out in this fascinating study, our adaptation to technological change—the development of our modern, industrialized consciousness—was very much a learned behavior. 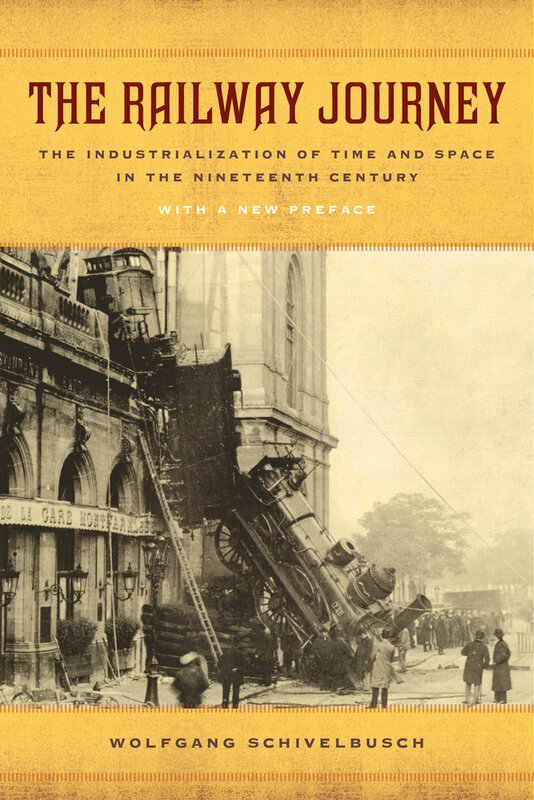 In The Railway Journey, Schivelbusch examines the origins of this industrialized consciousness by exploring the reaction in the nineteenth century to the first dramatic avatar of technological change, the railroad. In a highly original and engaging fashion, Schivelbusch discusses the ways in which our perceptions of distance, time, autonomy, speed, and risk were altered by railway travel. As a history of the surprising ways in which technology and culture interact, this book covers a wide range of topics, including the changing perception of landscapes, the death of conversation while traveling, the problematic nature of the railway compartment, the space of glass architecture, the pathology of the railway journey, industrial fatigue and the history of shock, and the railroad and the city. Belonging to a distinguished European tradition of critical sociology best exemplified by the work of Georg Simmel and Walter Benjamin, The Railway Journey is anchored in rich empirical data and full of striking insights about railway travel, the industrial revolution, and technological change. Now updated with a new preface, The Railway Journey is an invaluable resource for readers interested in nineteenth-century culture and technology and the prehistory of modern media and digitalization. Wolfgang Schivelbusch is a German historian and scholar of cultural studies. He has been awarded the Heinrich Mann Prize of the Academy of Arts in Berlin (2003) and the Lessing Prize of the City of Hamburg (2013).